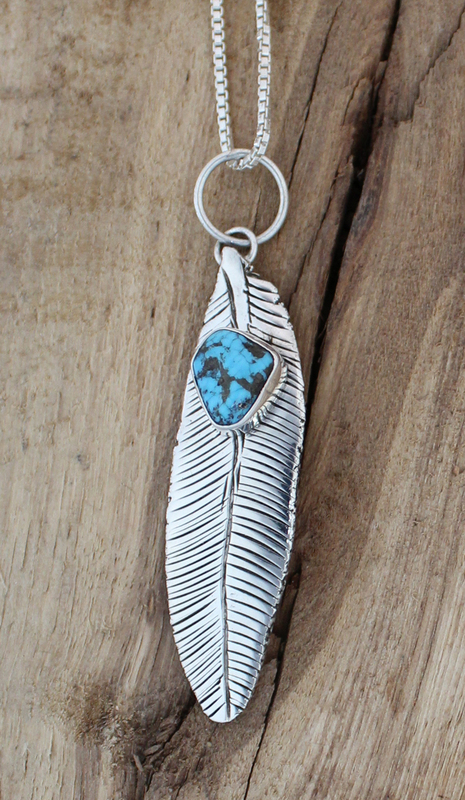 This Sterling Silver Feather captures the beautiful detail and flow of the feather. 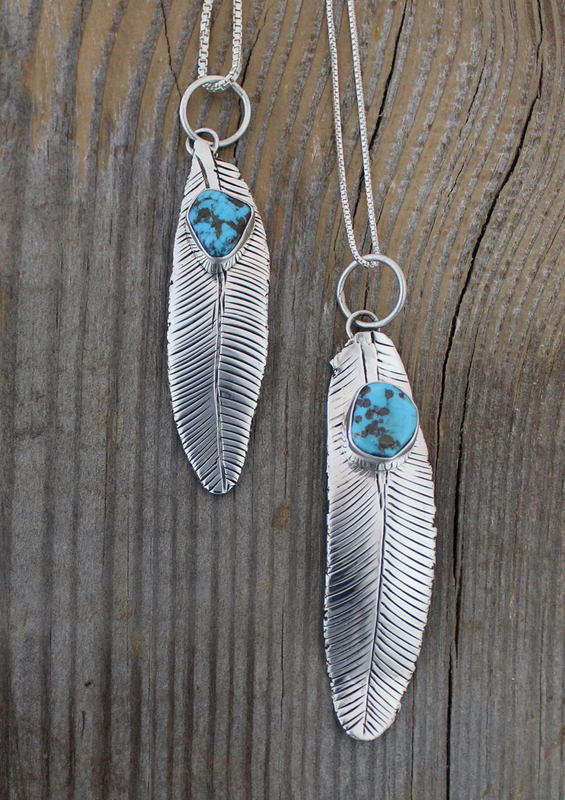 It features an hand-cut piece of Turquoise that gives it a pop of color. Handcrafted by Cherokee Silversmith General. B Grant.